When Israeli 3D printing company Nano Dimension gets coverage in the news, the discussion generally revolves around the intensive and long-awaited development of their electronic 3D printing system, the DragonFly2020. Since unveiling their desktop electronic 3D printer towards the end of last year, the company has had a momentous start to 2016. Aside from preparing for the manufacturing and distribution of the DragonFly2020, Nano Dimension has been working to develop a 3D printable nickel nano ink in collaboration with Tel Aviv University, and has also listed the company to begin trading on the NASDAQ. With all of the developments taking place with their electronic 3D printing technology, it’s hard to imagine that the Nano Dimension team currently has any time to pursue other pivotal 3D printing projects. Well, it looks as if the electronics 3D printing company will indeed be venturing into other research areas, this time with 3D bioprinting. Collaborating with the premier stem cell culturing solutions provider Accellta Ltd., which is based in Haifa, Israel, Nano Dimension has just announced that they’ve successfully lab-tested a proof of concept 3D bioprinter for producing stem cell-derived tissues. The collaborative feasibility study, which was conducted over the second quarter of 2016, shows that their combined knowledge and technology has enabled the two companies to 3D print viable stem cells with a modified 3D printer. Utilizing Nano Dimension’s highly precise inkjet 3D printing capabilities, along with Accellta’s 15 years of experience in developing stem cell suspension technologies, their study thus far has proved to be a successful one. Working together, the two companies have showcased their potential to accelerate high fidelity and high viability production of living cellular products. According to IDTechEx, the value of the 3D bioprinting market is projected to reach $6 billion by 2024, and is expected to improve a number of medically-driven areas, including pre-clinical drug discovery and testing, cosmetics safety testing, toxicology assays, and of course, tissue printing. By utilizing high precision 3D bioprinting and differentiation of stem cells into required tissues, Nano Dimension and Accellta are on the brink of enabling even greater capabilities for 3D bioprinting. The joint research may soon turn into a joint venture too, as both companies are considering the formation of an entirely new entity together in order to continue investigating future bioprinting solutions and raise funding for the continuation of their research. 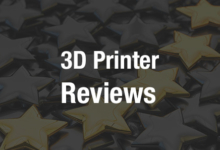 Although Nano Dimension may seem fixated on electronics 3D printing technology at times, their true aim seems to be advancing their 3D inkjet technology in a multitude of ways. It’s clear that their recent developments in 3D printed electronics and circuit boards have helped set the stage for their collaborative multi-material bioprinting research, which could soon help thrust them forth into the high-demand medical market, much like they’re already set to do within the electronics industry in the near future. What do you think of this latest industry partnership? Discuss further in the Nano Dimension & Accellta Teaming up to Further 3D Printing forum over at 3DPB.com.